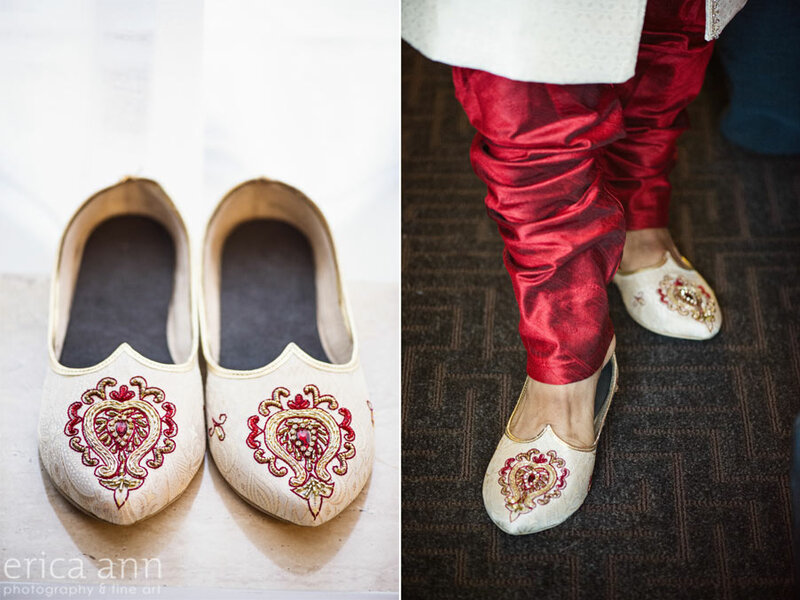 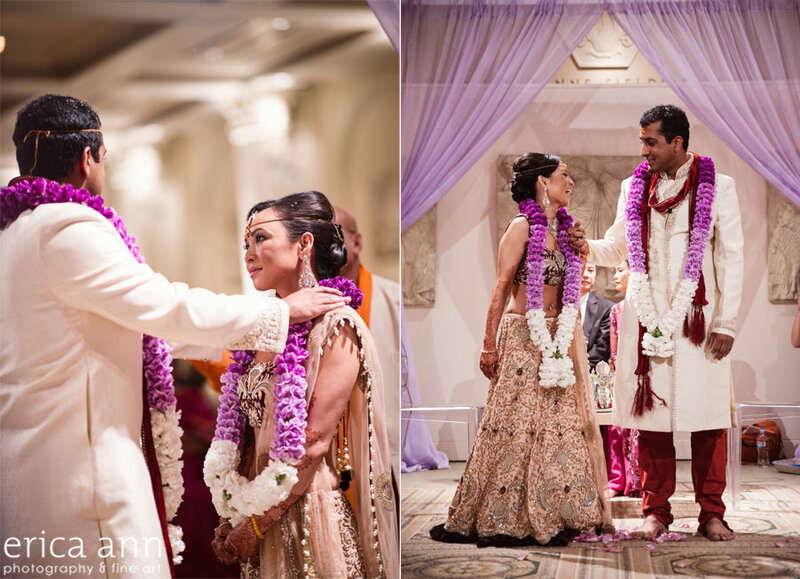 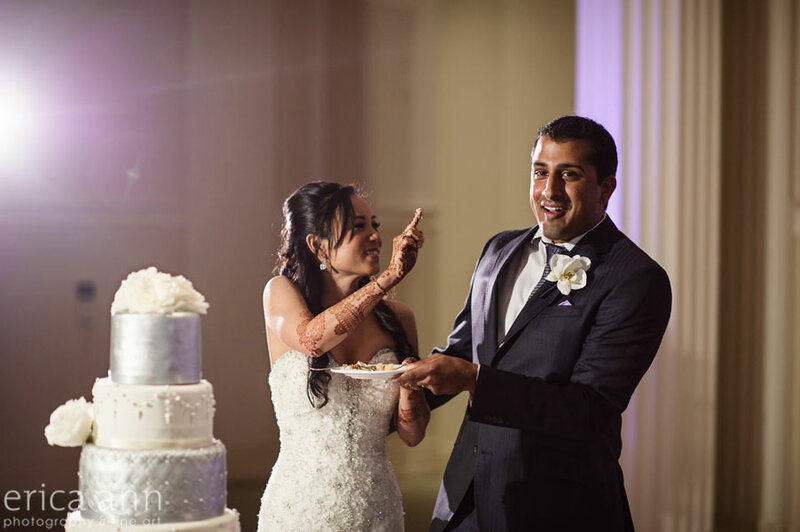 Continuing in the week of love, I have an absolutely gorgeous Indian/Vietnamese wedding to share with you today! 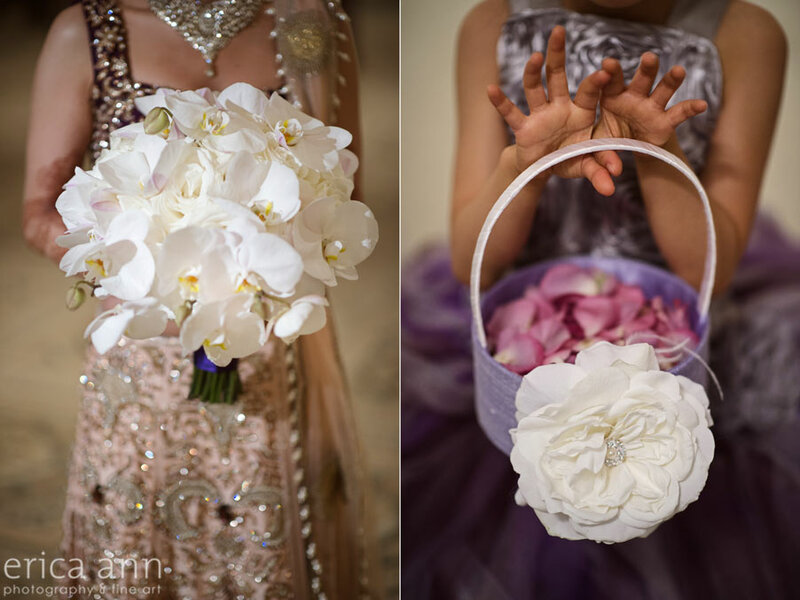 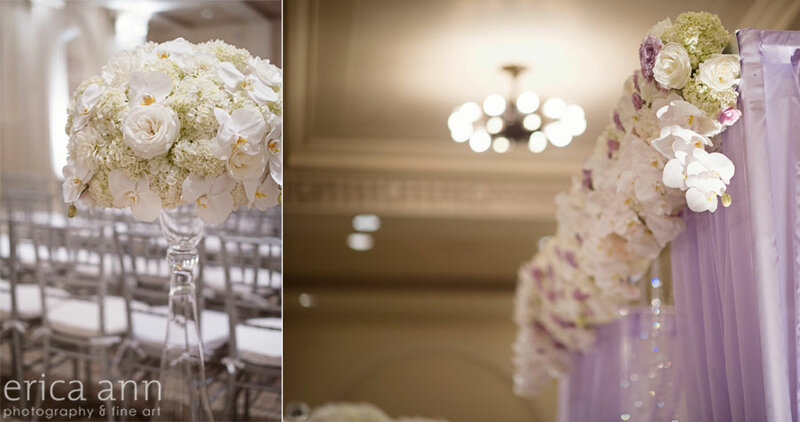 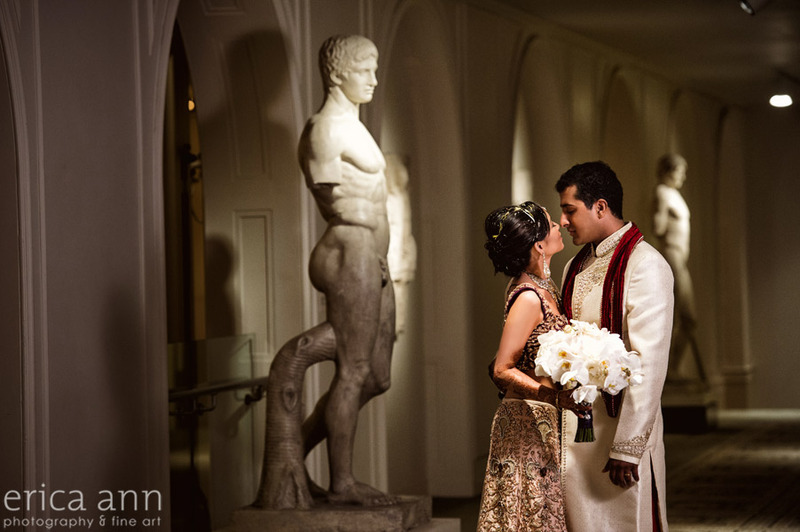 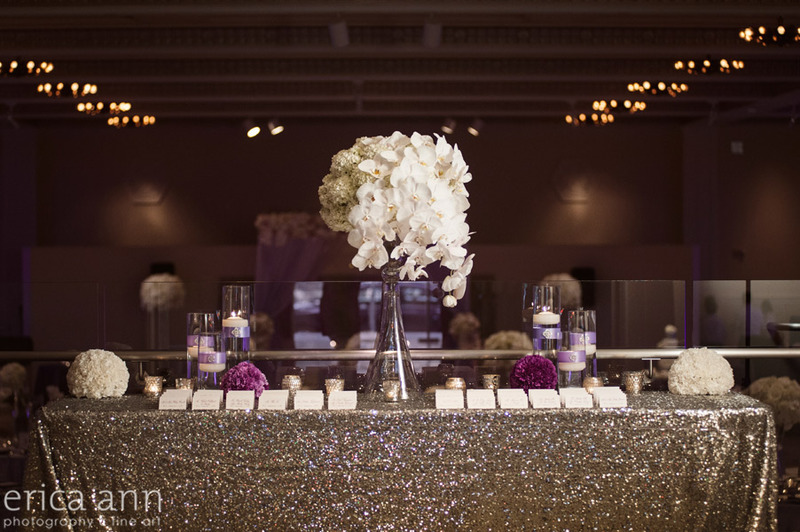 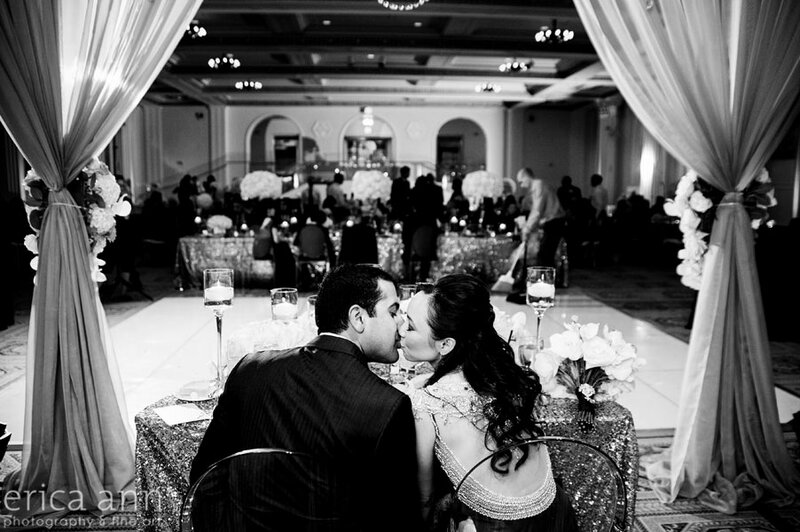 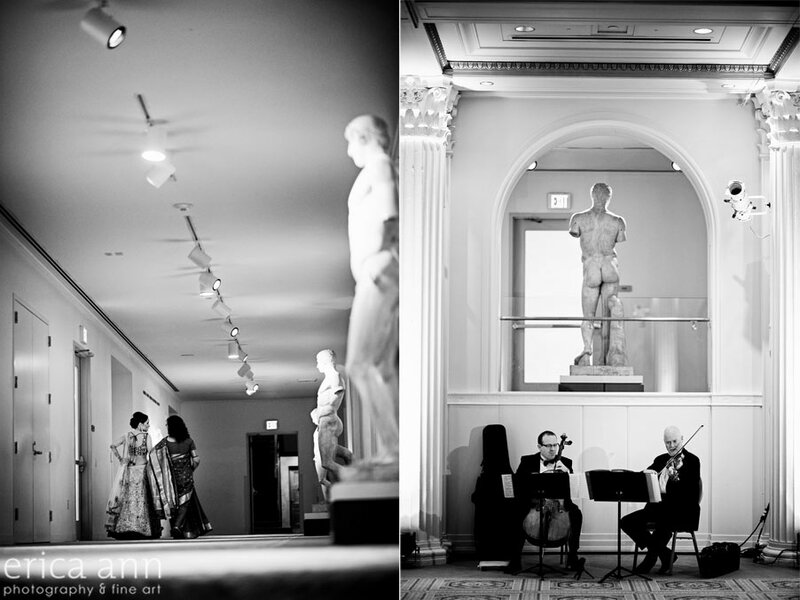 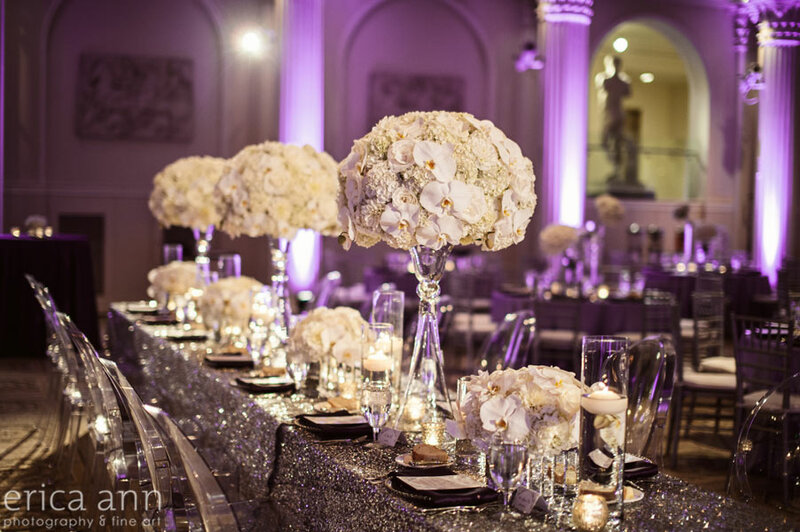 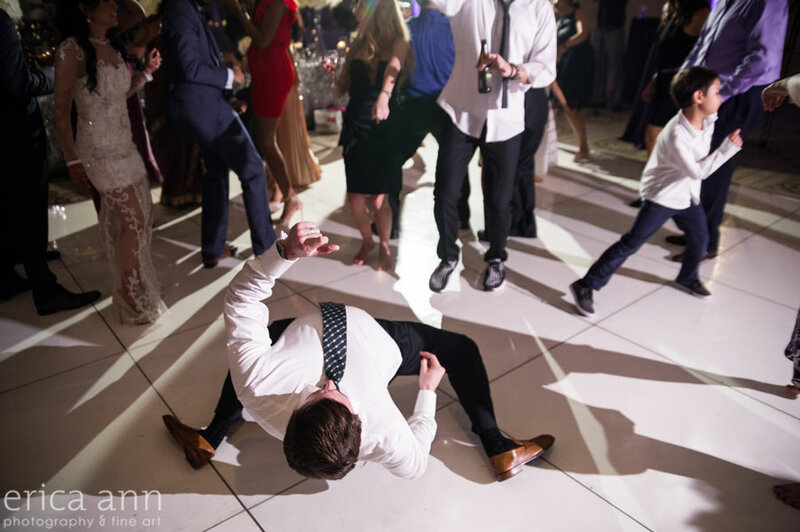 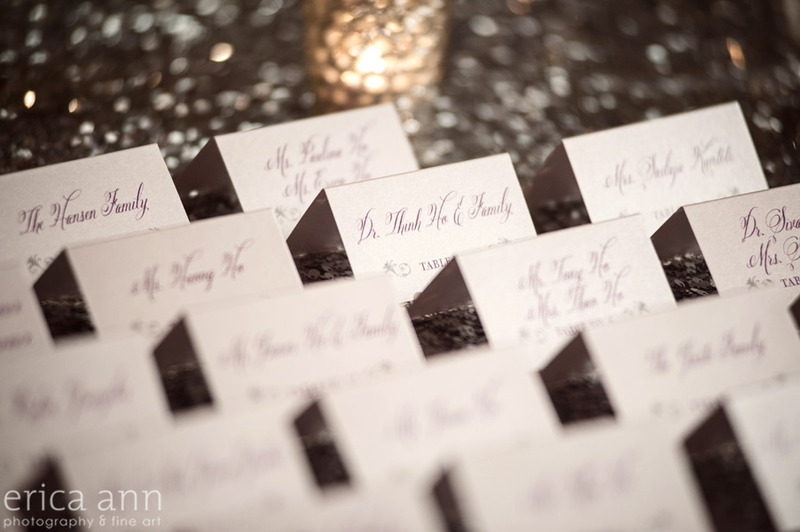 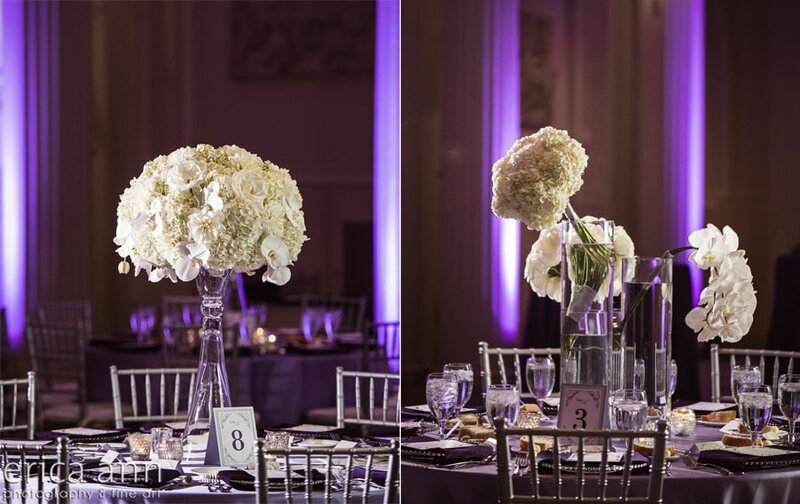 Christina and Mallik threw a wonderfully extravagant wedding at the Portland Art Museum. 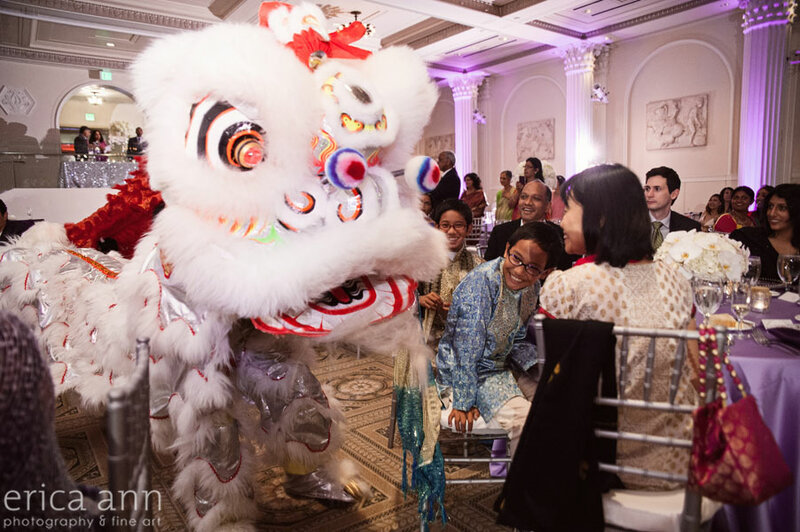 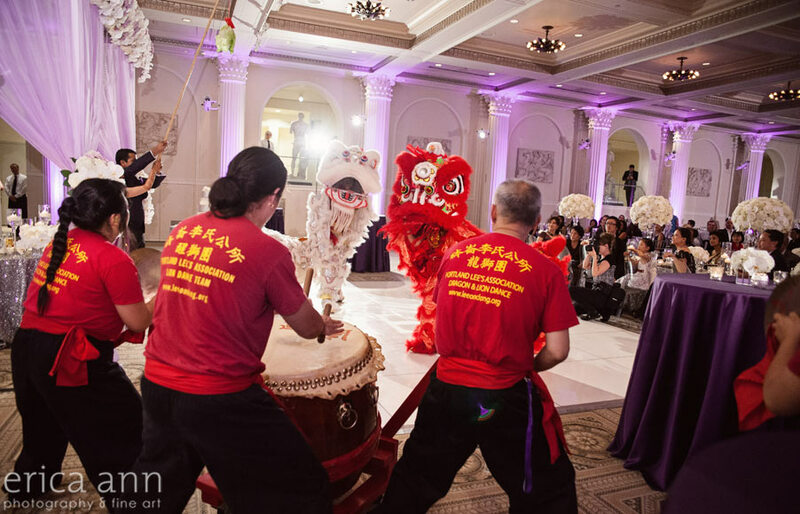 This wedding had everything: there were lion dancers, fire, deafening percussion instruments and the most white orchids I’ve ever seen in one room! 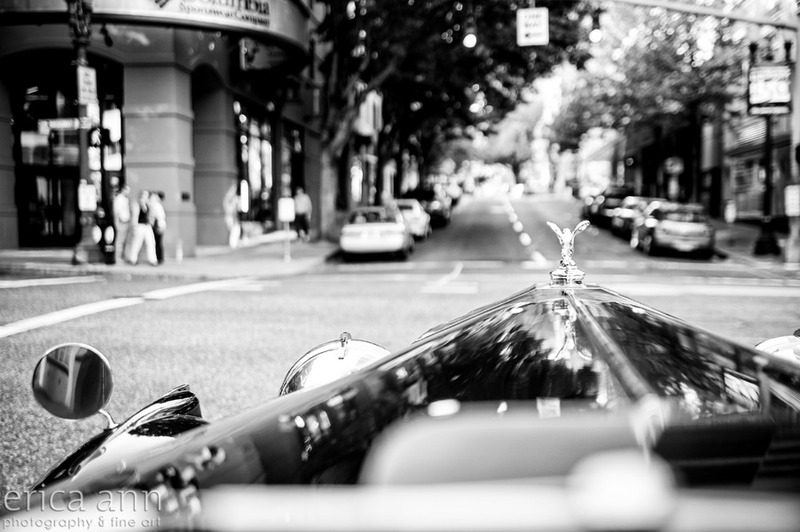 Oh, and a rolls royce, of course. 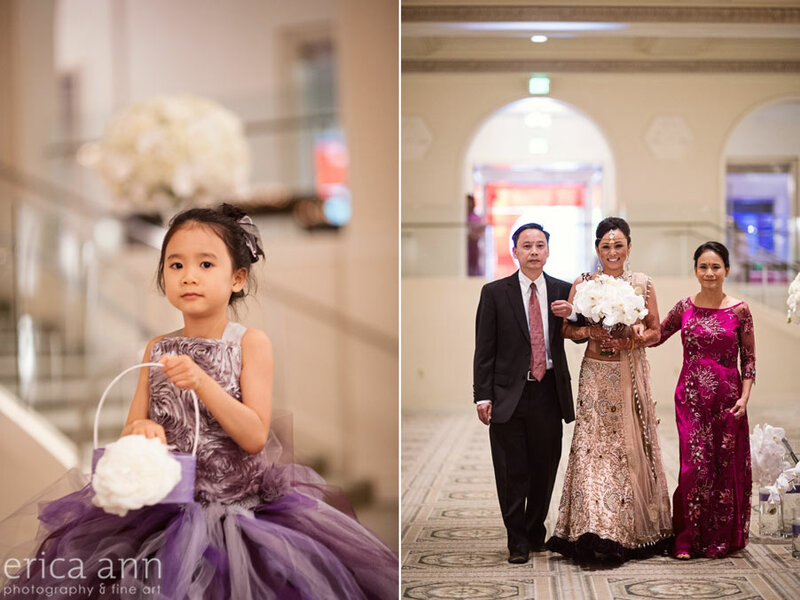 The bride and room got ready at separate rooms in the Hilton. 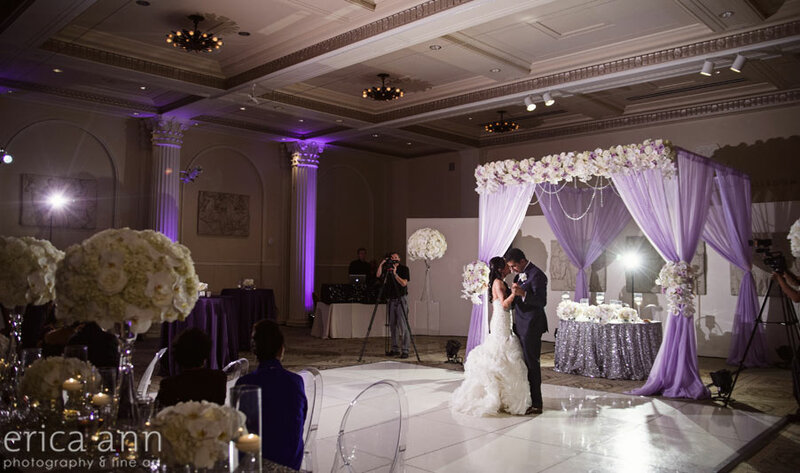 I think Christina got the better end of that deal. 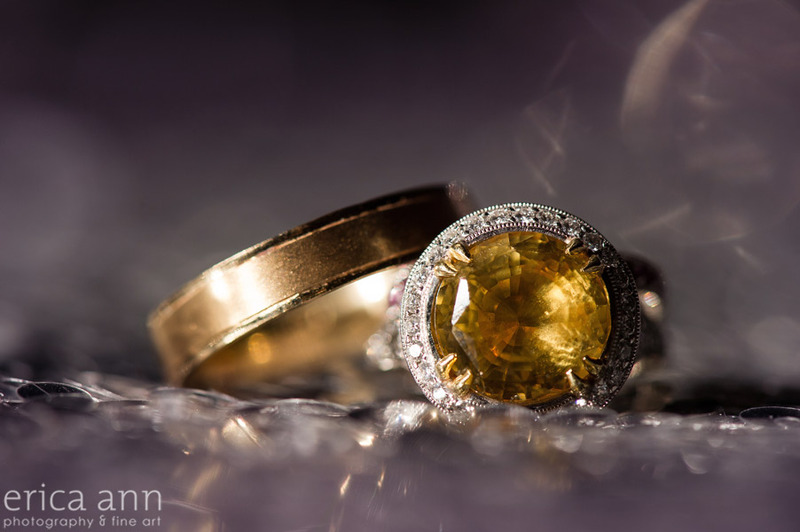 The light coming into her room was absolutely dreamy! 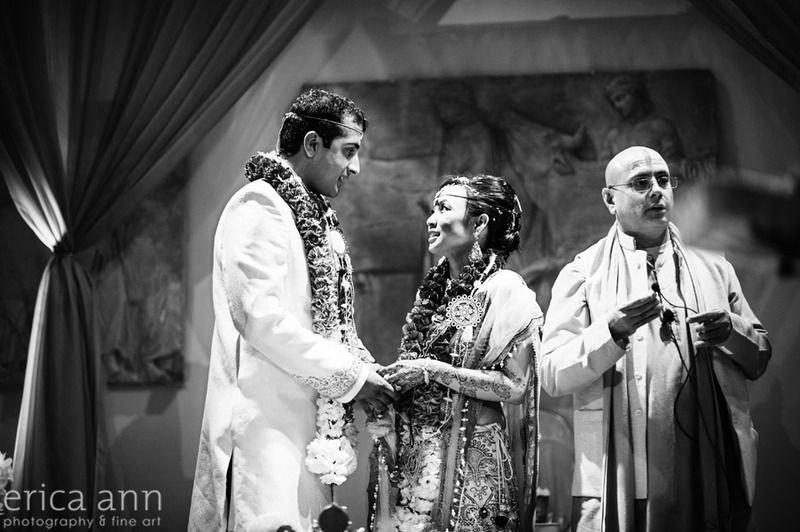 I was in heaven photographing her finishing up her makeup, putting on her jewelry from www.joesjewelry.com and of course all of the intricate details of her sari! 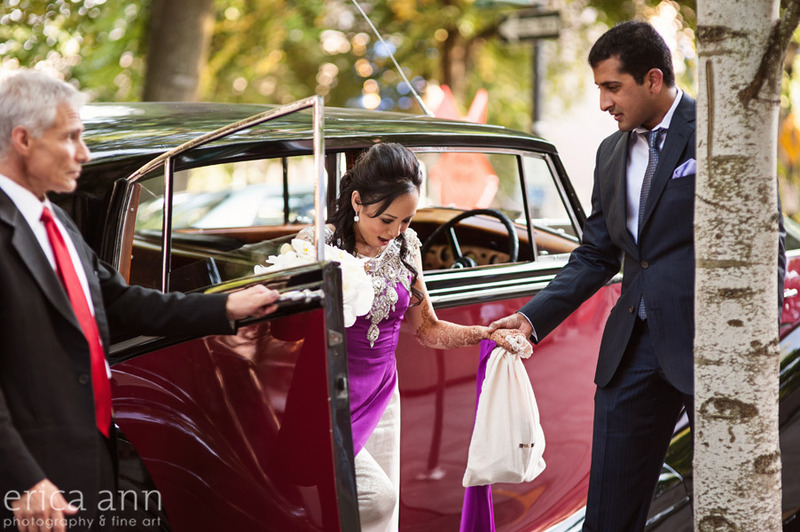 We all ended up walking to the Portland Art Museum because the limo couldn’t get through due to street closures. 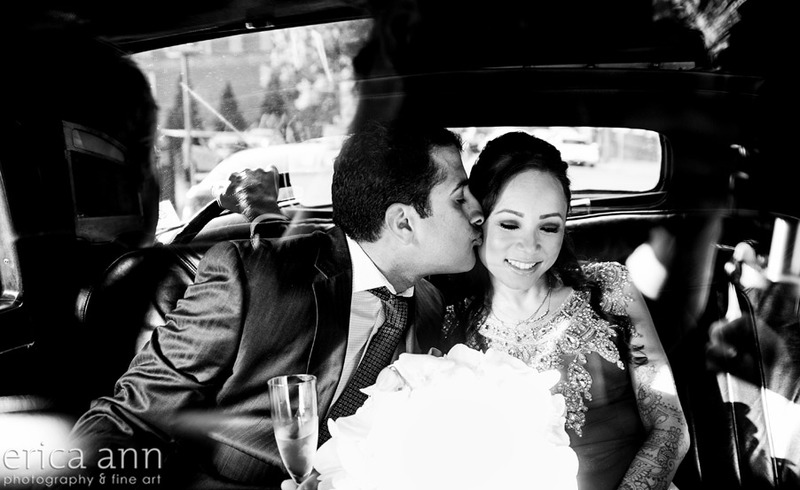 But it was a sunny fall day and nobody froze too much. 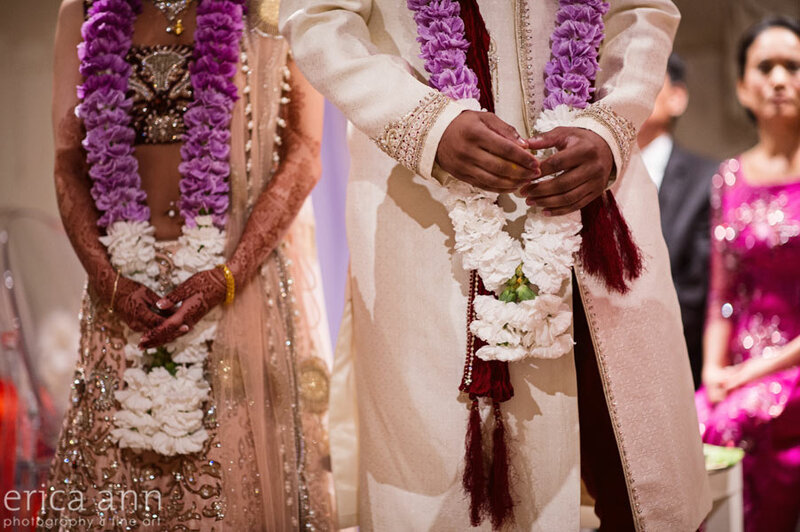 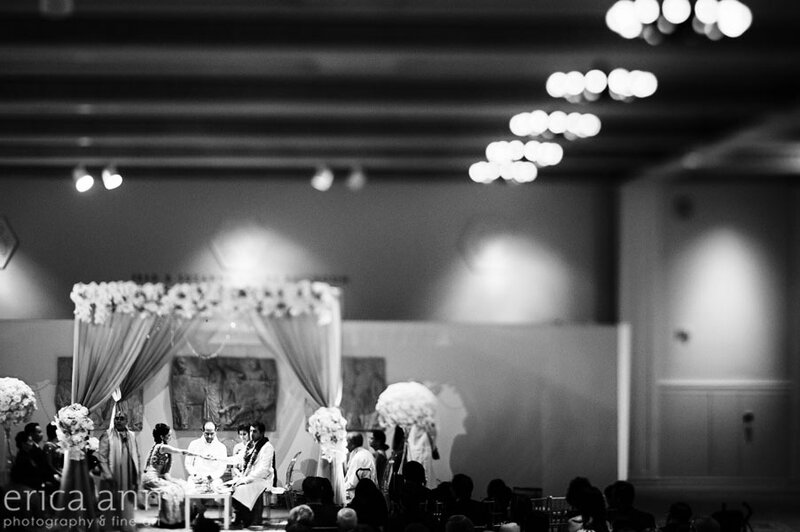 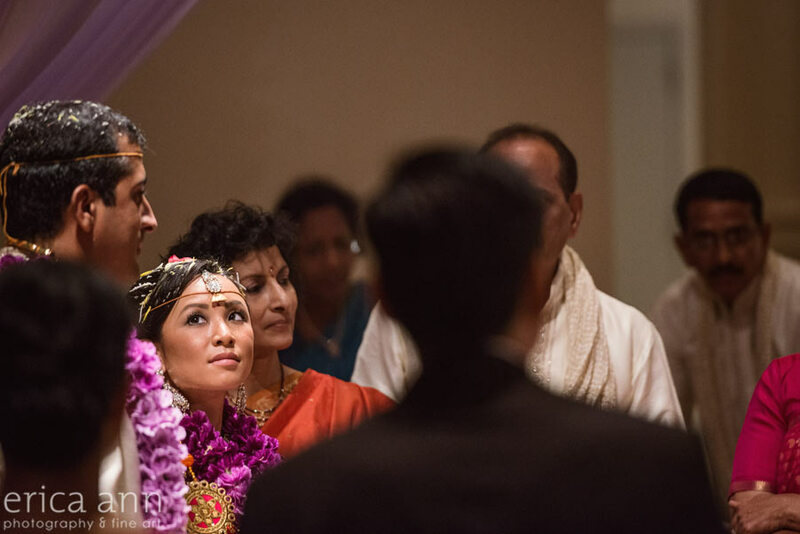 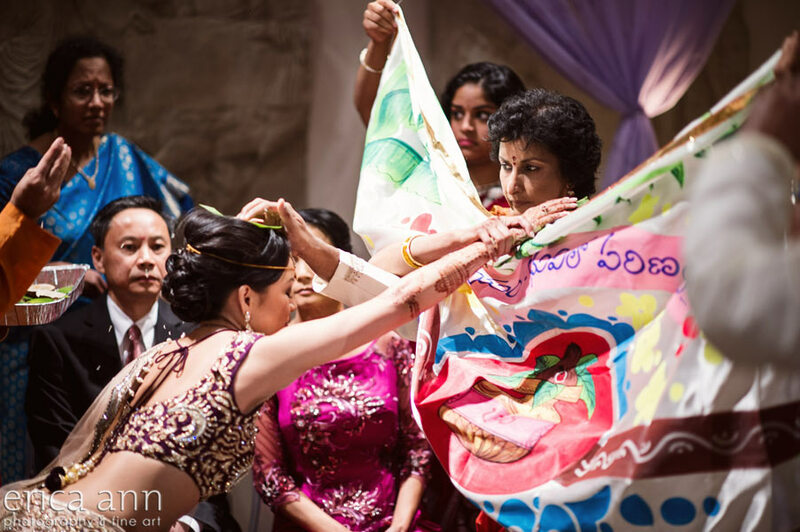 Then we got to the best part – the gorgeous Hindu wedding ceremony! 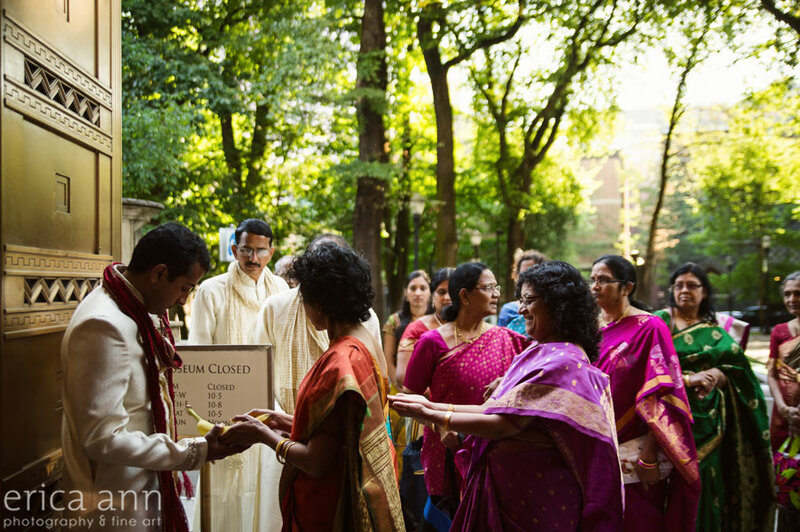 I hadn’t photographed a traditional Indian ceremony before, so I wasn’t always sure what was going on, but I photographed it all and it was a lot of fun! 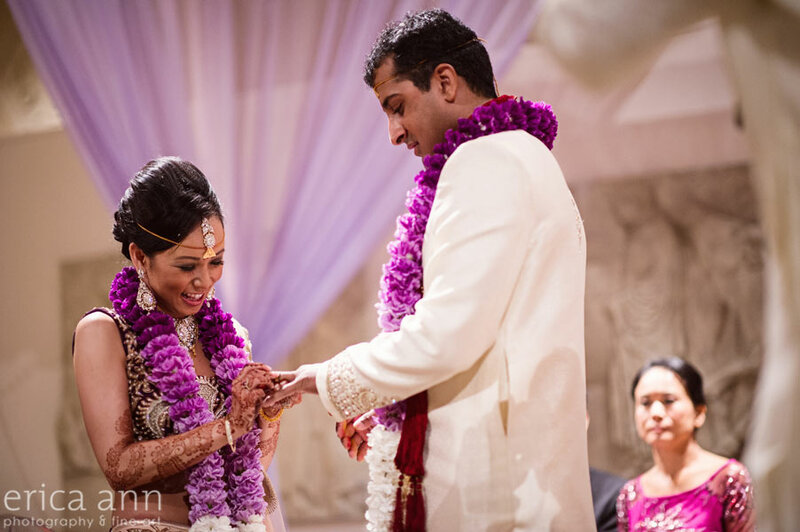 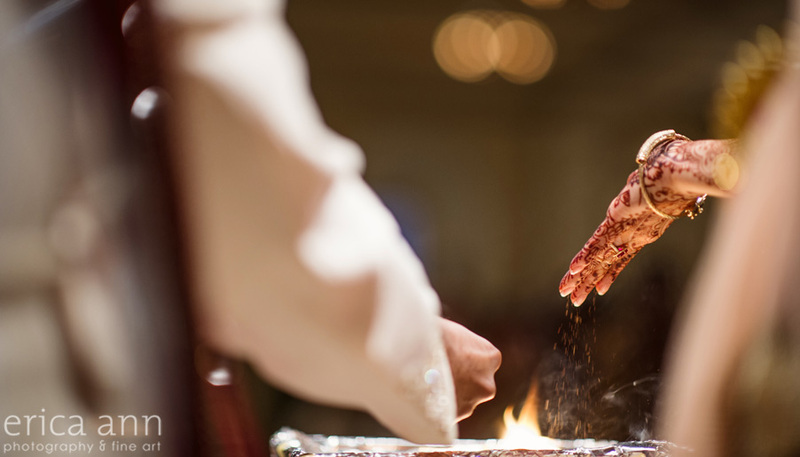 Hindu ceremonies are much more active than American wedding ceremonies. 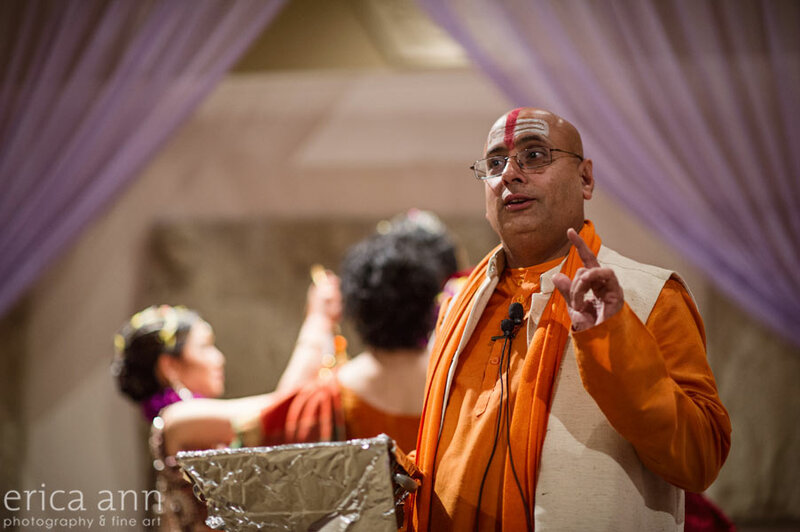 Since many of the guests were not Hindu, the priest took time to explain most of what was going on so the traditions would have meaning for everyone. 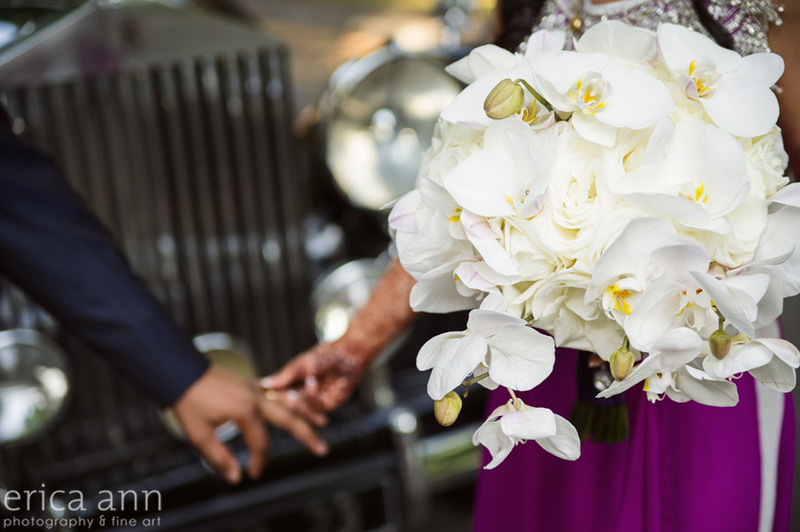 Of course my favorite part of the wedding ceremony was when the bride and groom threw blessings on each other – in the form of petals and other colorful things I couldn’t identify. 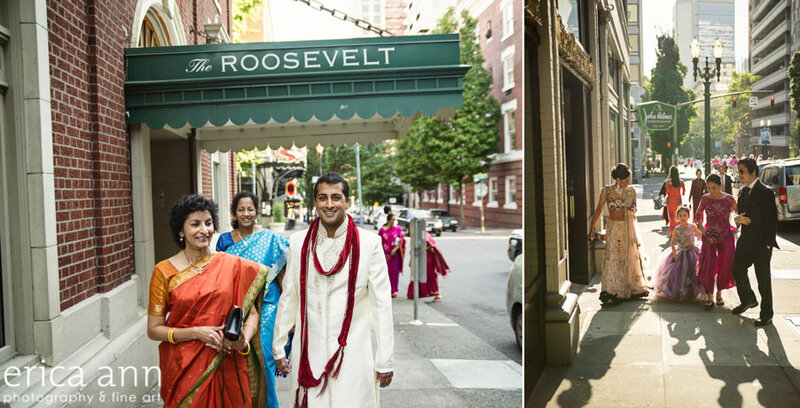 After the ceremony it was back to the hotel to clean up and change for the reception. 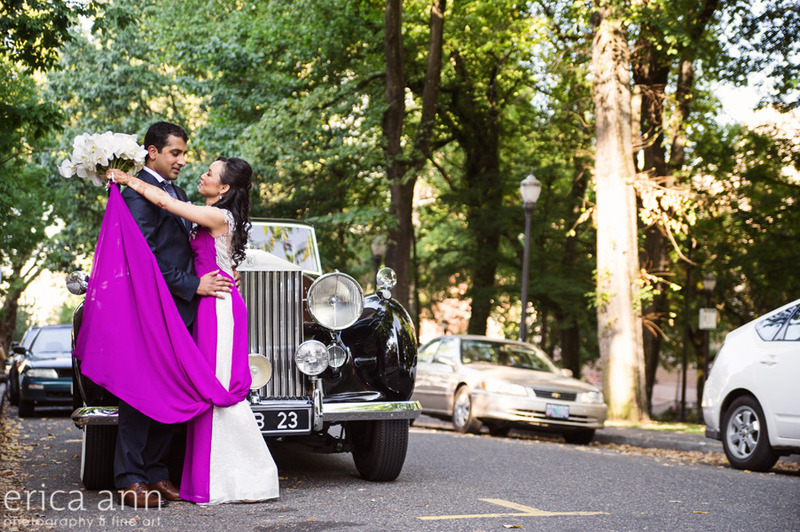 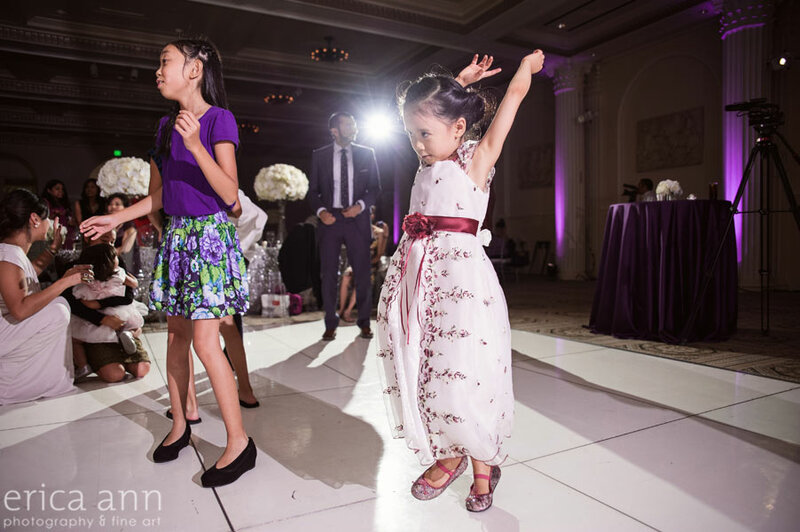 Christina wore a beautiful purple Vienamese dress and Mallik changed into a sharp looking suit. 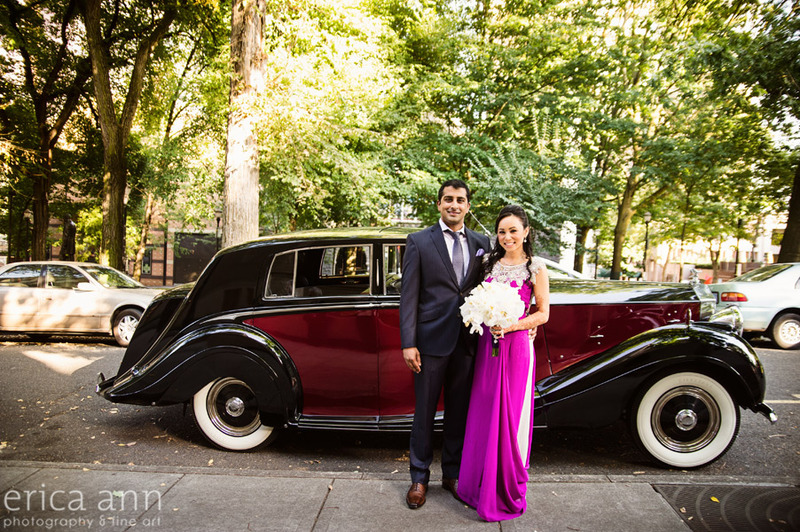 I got to ride in the rolls royce with them to the ceremony! 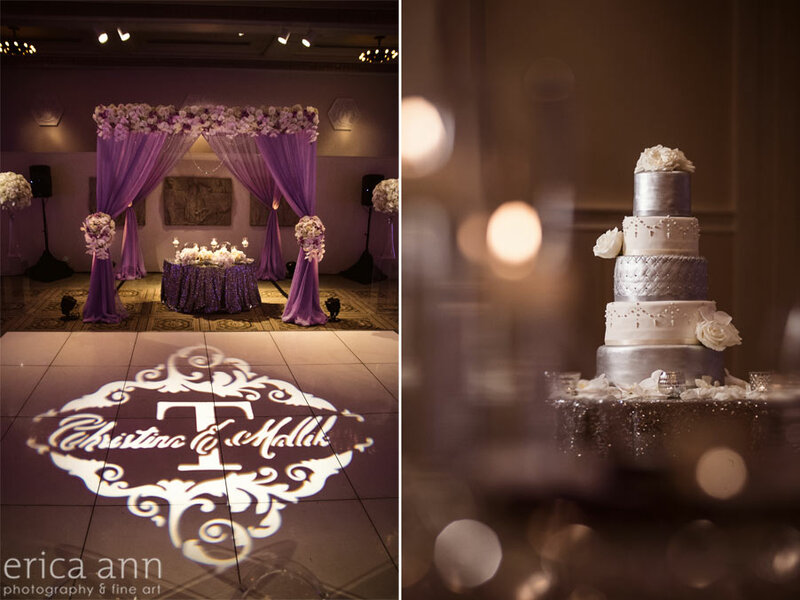 Then we all got to see the reception site all set up with the glamourous sequined linens, unique bouquet style centerpieces and Christina and Mallik’s custom wedding monogram on the dance floor! 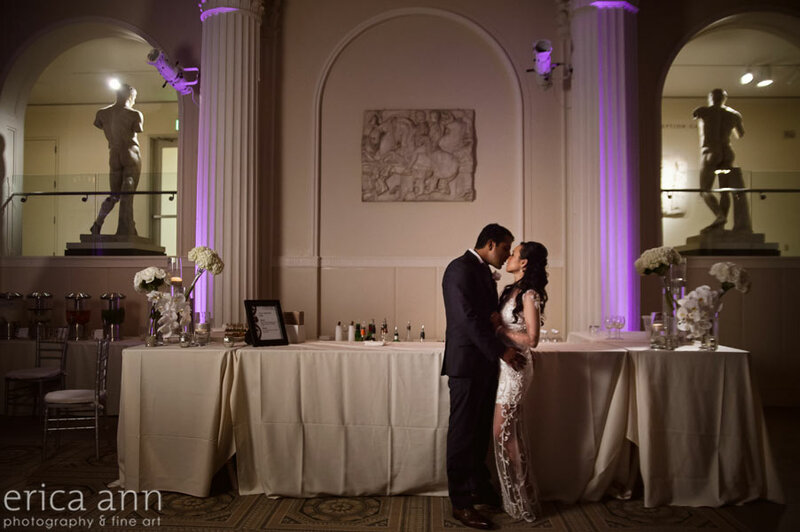 It was a full day with a lot of celebrating and everything came together perfectly thanks to the very talented Amy Nuttman, owner of Blush Bridal!